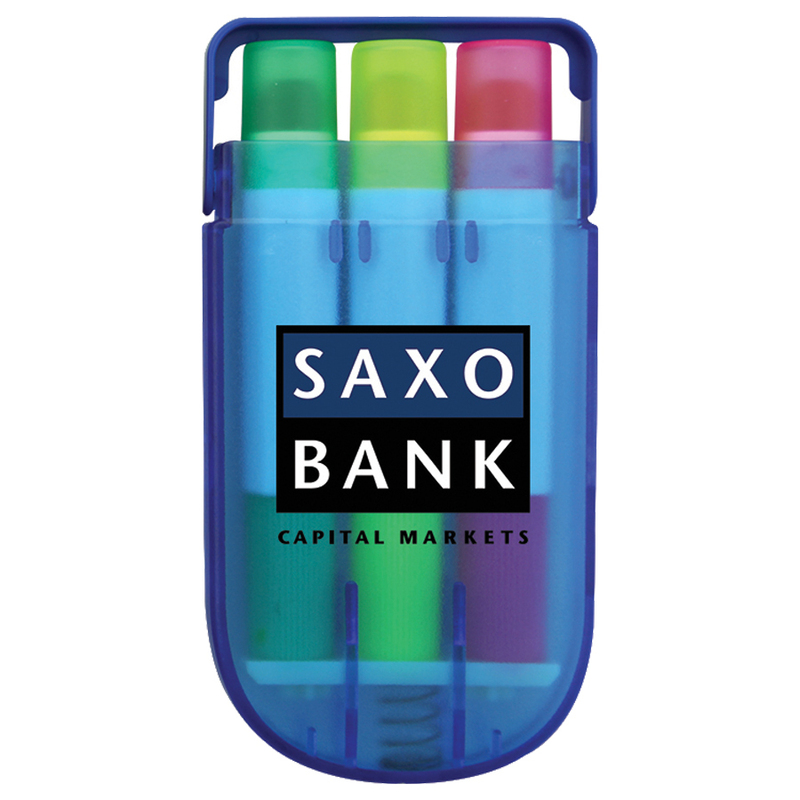 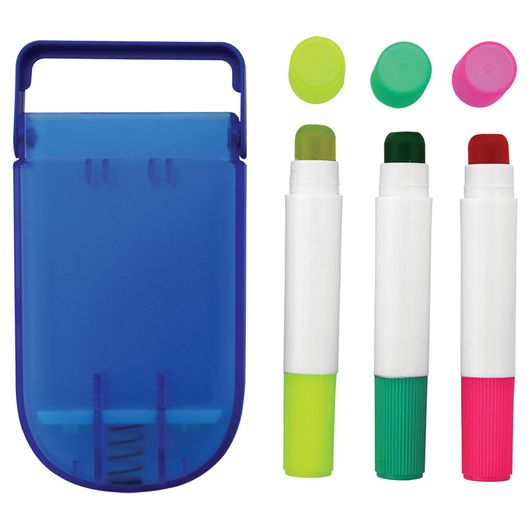 A gel highlighter set that includes 3 pens in a handy carry case. Introducing the fabulous gel highlighter sets that come with a practical carry case. 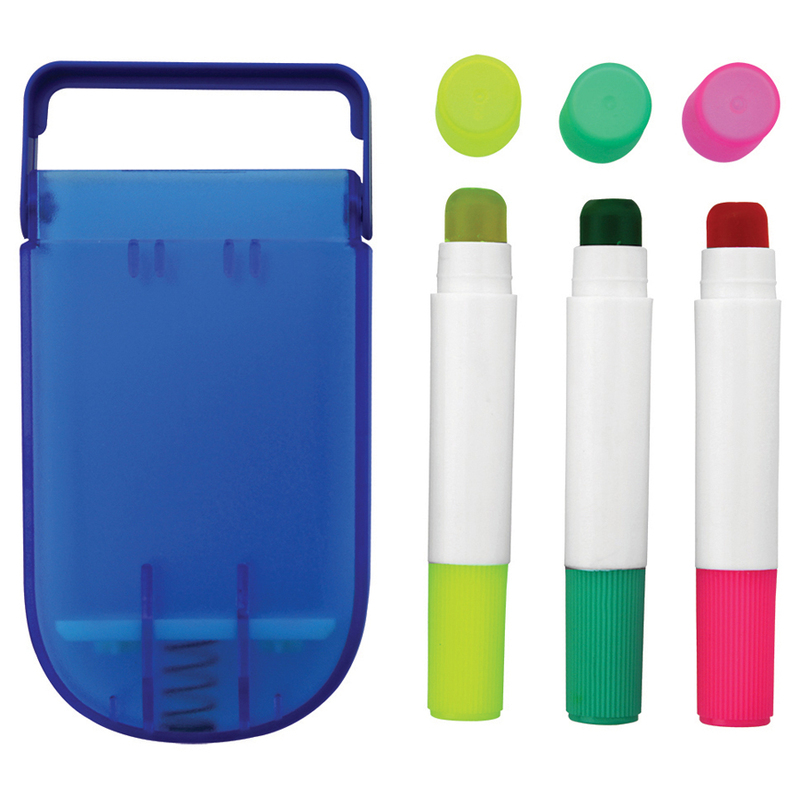 The tip is formulated from special gel so they will not smudge or dry out like other highlighters. 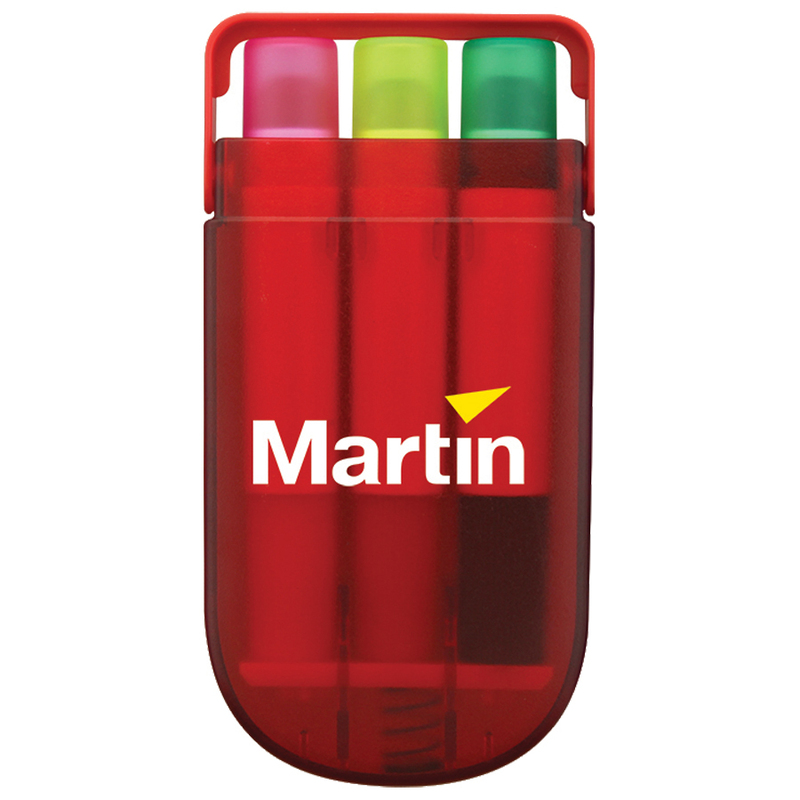 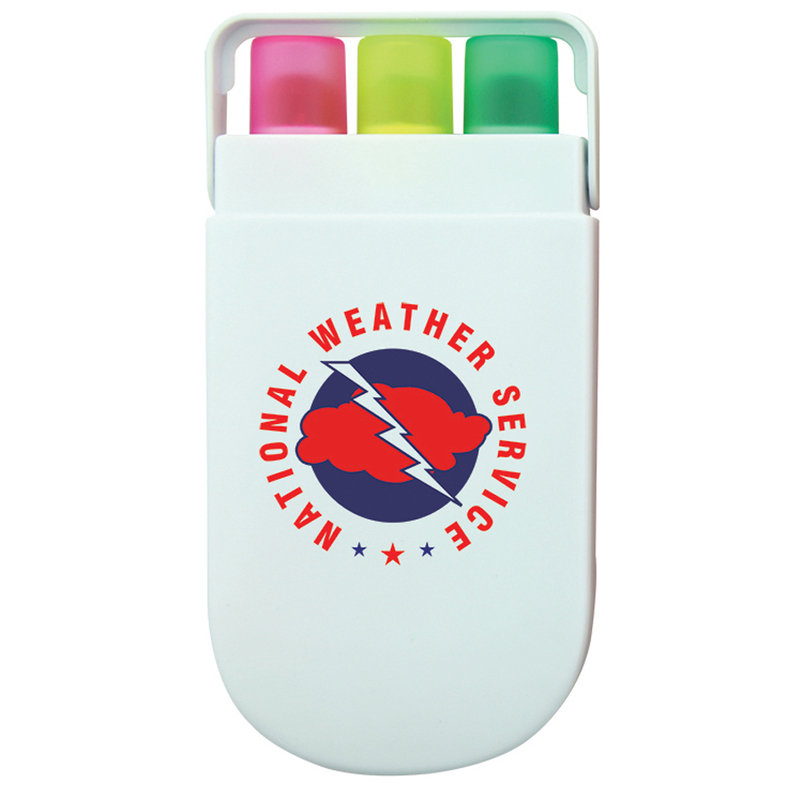 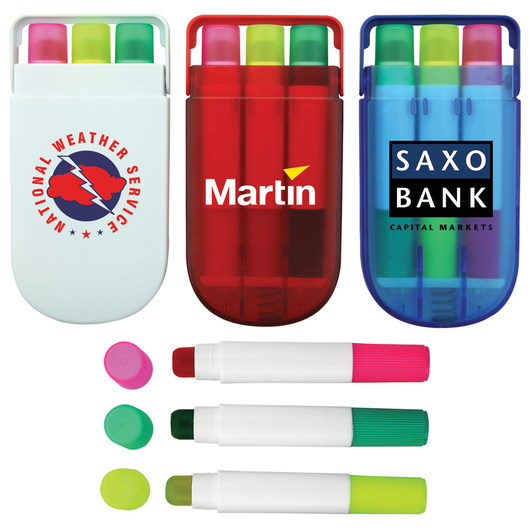 Making them a great long lasting promotional item that your target audience will love and see on a daily basis!